Come and get to know it with us! My name is LIDIA and I am from BARCELONA. 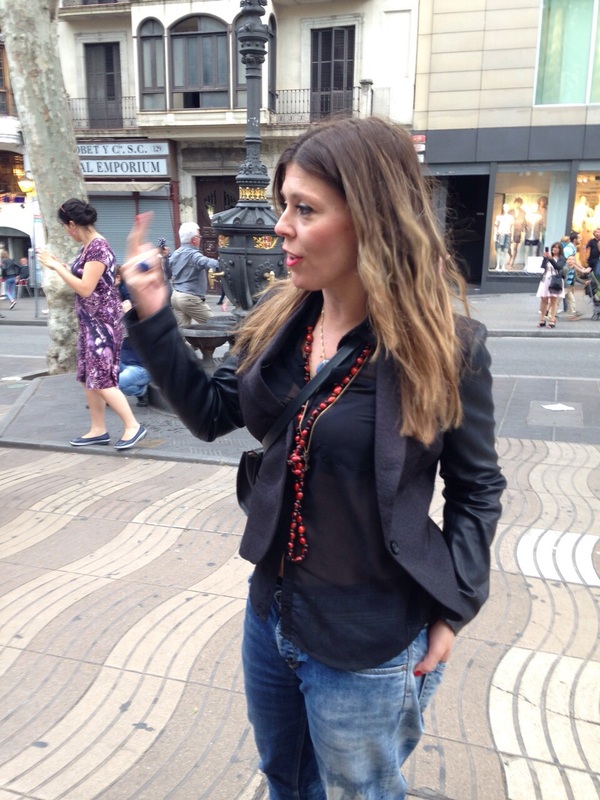 I am Barcelona Private Guide, I offer guided tours of the city and its surrounding areas in ENGLISH, FRENCH, SPANISH, and CATALAN. I am Official Barcelona Private Guide, I get my acreditation a few moths after the Olympics in 1992. As a real Barcelona native, with 10 years of experience in Private Tours around Barcelona’s important monuments, Gaudi’s World Heritage, Barcelona’s museums…, I’m pleased to offer you my personal approach and knowledge, to give you one of the most memorable experience in Barcelona. I’m flexible, welcoming, passionate about Barcelona, art lover, with really good communication skills and a unique sense of humour. I’m fully certified guide and entitled to SKIP THE LINES in museums and monuments. I’m also a proud mother of a teenager girl, she is teaching me every day, she has shown me a new way of being in the world, of watching beauty. My daughter is the reason I enjoy so much spending time with FAMILIES and KIDS. I don’t forget: IT’S YOUR TOUR! and my goal is to make you happy! is my own project after long experience as a Barcelona Private Guide and a deep knowledge of my city, my country and the best guides. I have a great team of colleagues who can guide you if I am not available. I am a really lucky girl because I am in love with my city and my little country, Catalonia, and I work with nice people that come to visit us. My guests use to be happy people that are on holidays with interest in CATALAN HISTORY, in the MODERNIST HERITAGE, in our GASTRONOMY . . . and I enjoy a lot joining my city, my country with them. I think I have the perfect job for me. My guests use to tell me that I am a very FUNNY girl, the true is that I have really good communication skills and a peculiar sense of humor. I am also a proud mother of a little girl, she has show me a new way of being in the world, of watching beauty, that is the reason I enjoy so much spending time with FAMILIES and KIDS.